Whether you have a residential or commercial property, we have your driveway grate drain needs covered! Whether your goal is to prevent water from pooling on your driveway or to stop it flowing into your garage, we have the driveway drainage solution for you. At Auswave Products, we pride ourselves on supplying high-quality drainage solutions to meet a variety of needs. We have been serving the drainage industry for over 20 years and are well experienced in recognizing the needs of civil contractors, architects, developers, designers and, of course, home and property owners. Aside from being efficient in eliminating waste and run-off, our driveway drains and grates have many advantages over other products on the market. Like all of our grate products, our driveway drains and grates are manufactured from high quality stainless steel (304 or 316. marine grade), built to meet both relevant Australian standards and last the test of time, even in harsh driveway environments! Our high quality products are long lasting, low maintenance and look amazing longer. All this means that you save money in the long run. 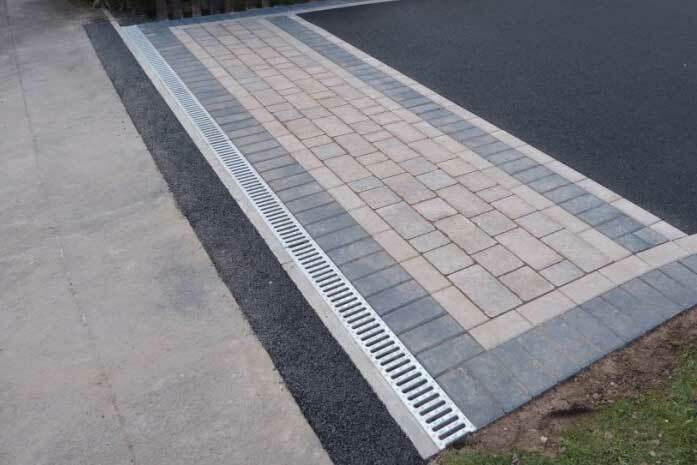 Our driveway drainage grate products can be adapted to suit a number of different driveway configurations or easily tailored to meet your project and layout specifications. Additionally, we offer a range of options ensuring we cater to your budget, as well as industry load rating requirements. Our stainless steel driveway grates not only offer safe installation, but also maximum pedestrian and vehicle safety. Our grates have an anti-slip surface. Additionally, when combined with HEELGUARD technology, are safe for heels. Our stainless steel driveway grates are visually pleasing. And, given their resistance to rust, look better for longer! Whether you are an architect, civil engineer, designer, home owner or developer, you will benefit from our years of experience and industry knowledge. Contact us today to discuss how our driveway grates and drains can meet your needs! If you would like more information on our driveway grate and drainage solutions, give us a call, and we would be more than happy to discuss the details with you.